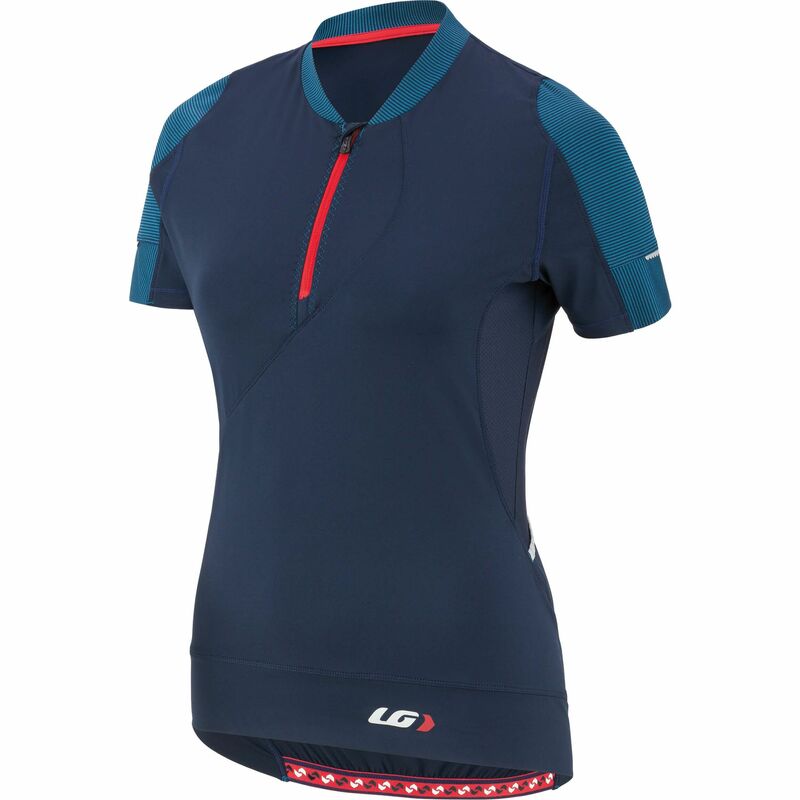 The Women’s Gloria Jersey is a high-performing cycling top designed to take you through the summer with ease. Benefitting from innovative Icefil technology, which converts your body’s natural sweat to an effective cooling agent, the jersey is packed with technological features to improve your overall ride experience. The angled cut of the two back pockets allows for easy access to your food and equipment during the ride – so you can refuel without slowing down. A multimedia pocket features a hole for your headphones, so wires can be routed through the inside of the garment. A silicone gripper at the hem keeps the jersey in place, with reflective accents on the front, back and sleeves to boost visibility in low-light. There’s no need to worry about reapplying sunblock either – the jersey provides sun protection up to UPF/SPF 50.